My friend Shelly who is an excellent cook and baker gave this recipe to me back in 2012. I wanted to try them because I love all things Pumpkin and ’tis the season. I was leaving Colorado for the season and planned on freezing these delicious beauties so they would be here when we return. Shelly said that she freezes them, then takes them out for breakfast individually by putting the frozen muffin in the microwave or toaster oven. A little butter and jam don’t hurt either. The list of ingredients may seem daunting. I had to shop for a few of the items, but don’t let this stop you because these are fairly healthy and a perfect brunch/breakfast item, or good for just mid-afternoon tea. They contain fiber and aren’t cloyingly sweet. I love ginger and I love pumpkin. If you don’t like the ginger spice you can cut down or eliminate the crystallized ginger. Wow, pumpkin and ginger. What more can I say? Thanks so much Shelly for your contribution. Preheat oven to 400 degrees . 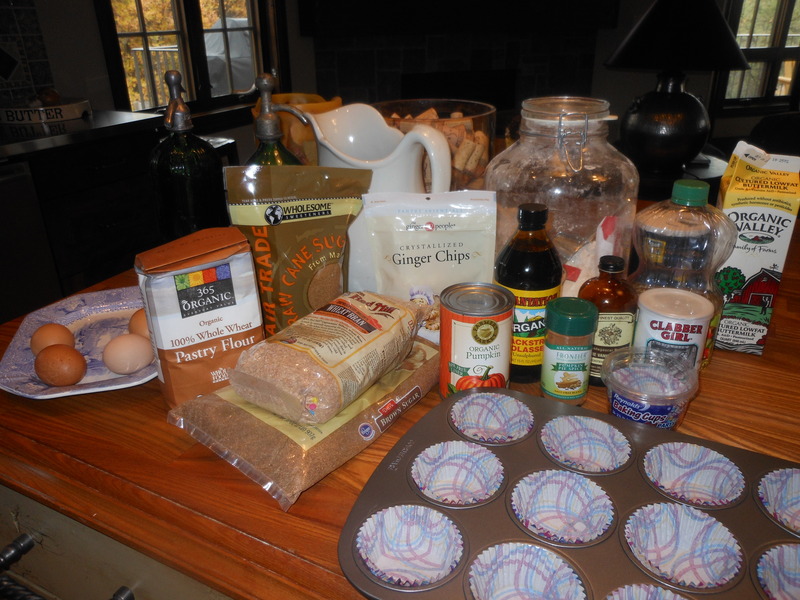 Combine flour, whole wheat flour, wheat bran, pumpkin pie spice, baking soda, ginger powder and salt in a large bowl. Stir well to combine, then make a well in the center. Combine brown sugar, canned pumpkin, buttermilk, canola oil, molasses, vanilla and eggs, and whisk it all together until well combined. 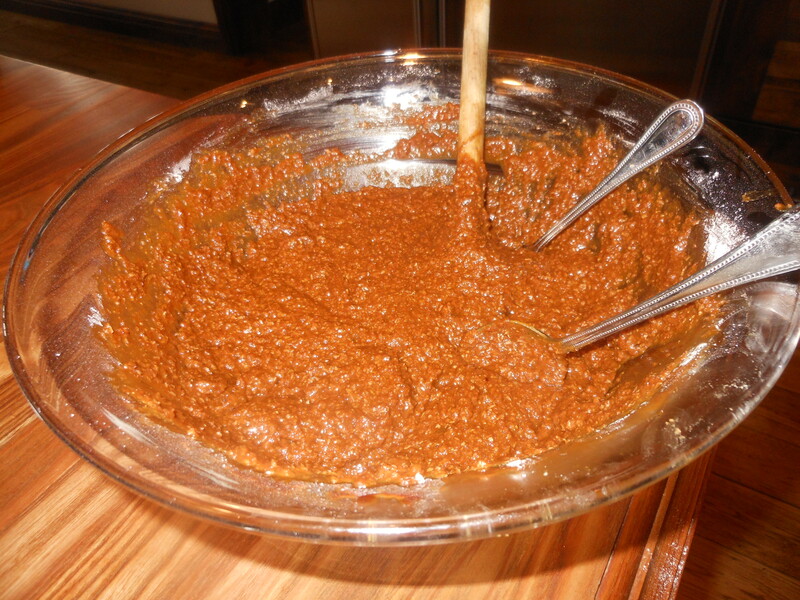 Add this mixture into the flour mixture and stir well until moist. Mix in the crystallized ginger. 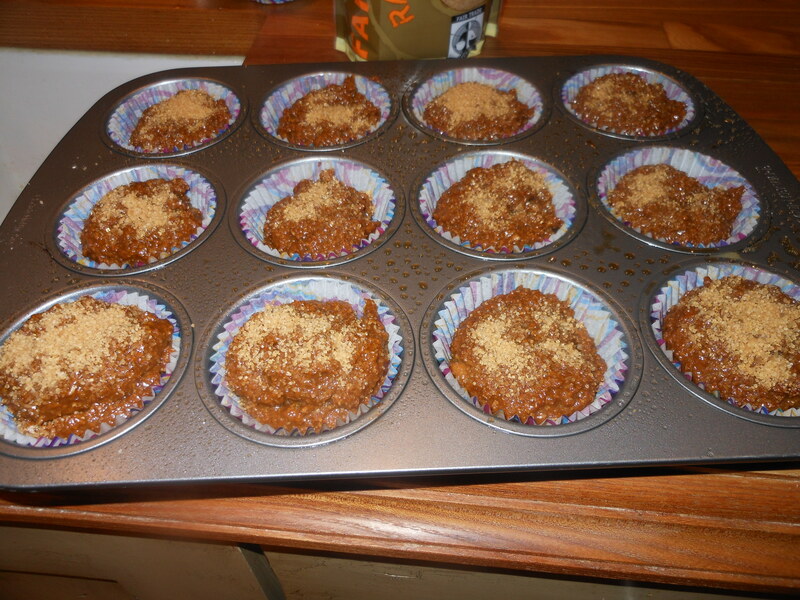 Coat muffin tins with baking spray. I use a 12 muffin tin. Spoon mixture into cups. I used a large tablespoon and just dropped in. (See picture.) 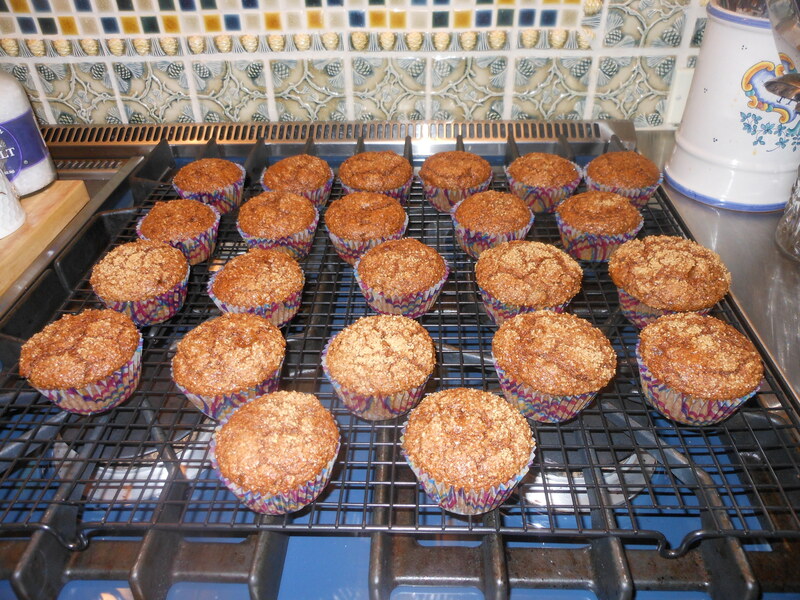 Sprinkle raw sugar on top of muffins before baking (use as much or as little as you like). Bake for about 16 minutes or until cake tester comes out clean. Mine baked for 17 minutes. Let cool down and remove from pan onto wire rack. If you have no wire rack just a baking sheet will do. Enjoy! These are delicious and pretty nutritious. Serving size should make about 24 muffins. This entry was posted in Baked Goods, breakfast, muffins. Bookmark the permalink. Crisp air , gorgeous colors and delicious flavors of Fall. One of my most favorite ingredients for the Fall season is pumpkin, I can’t seem to get enough of it. 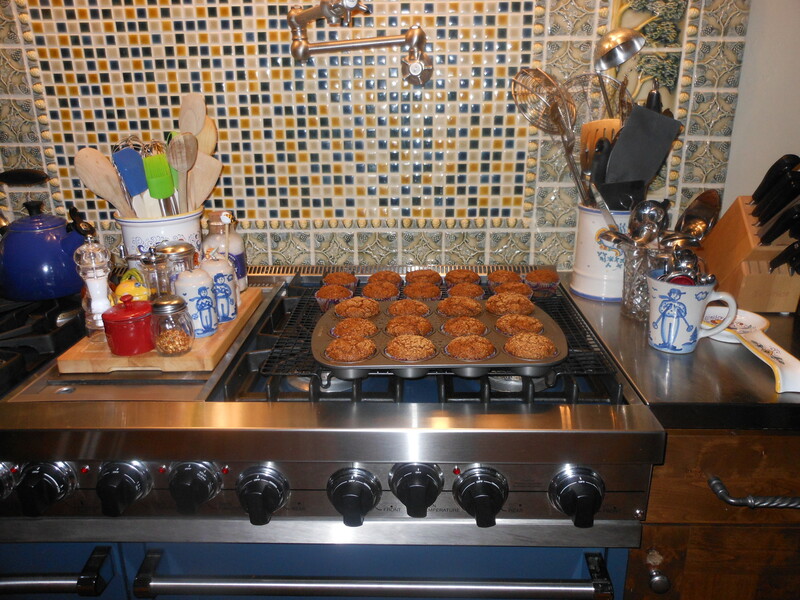 I highly recommend Shelly’s pumpkin muffins if you’d like to get into the mood for Fall. Yum.